The quarterbacks in Week 1 were bad. Scott Tolzien threw two pick-sixes and made the Rams look like they have a Super Bowl defense; Andy Dalton tossed four picks and had one fan begging for the return of Carson Palmer, who finished with three interceptions of his own after creaking through four quarters against the Lions. None of them had a day quite as bad as the one had by Tom Savage, who needed just two quarters to lose his job. 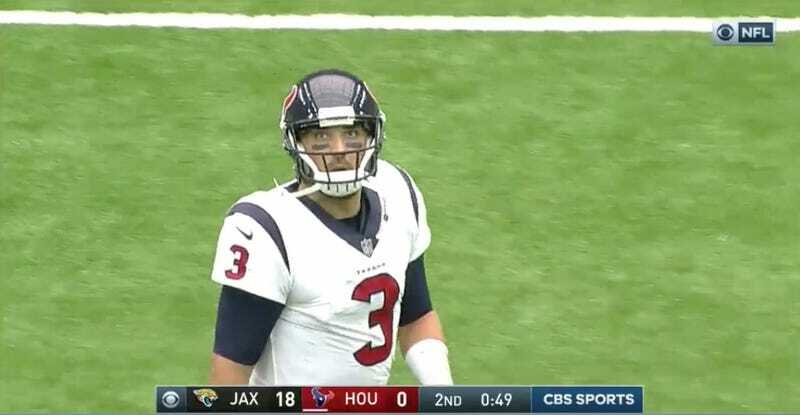 Some things had to happen for Tom Savage to get here. First, the Texans had to sign Brock Osweiler to a four-year, $72 million deal in the 2016 offseason. Osweiler then had to play so poorly that the team went into this past offseason with a singular goal: scrape Osweiler off and flush him down the toilet like a very expensive piece of dog poop. Into the toilet Osweiler went, along with a second-round tax payment. 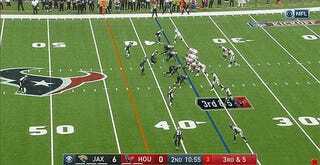 Then the Texans had to decide how to go about replacing Osweiler. Instead of looking for a veteran in the free-agent market, they drafted Clemson hero Deshaun Watson, who would need some time to study from the bench before being handed the keys. 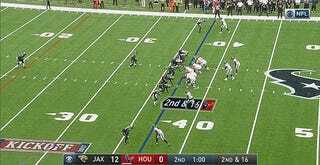 So there’s Tom Savage, starting in Week 1. Savage, taken in the fourth round of the 2014 draft, has been sitting on the Texans’ bench for three full seasons (he started two games lat last season). If we are to believe the NFL’s own mythology about quarterbacks, the kind that imagines the act of becoming an effective NFL QB as requiring a long initiation process similar to graduating through the various ranks of the Jedi Order, then Savage was well-prepared to start Sunday’s game. Savage is not some overmatched rookie to whom the NFL is foreign, nor is he a battered old veteran losing his physical gifts. As the mythology goes, he is a student ready to graduate. He has been on the sidelines for three years, charting plays, oh so many plays. He has been on the practice field, mastering his timing. He has been in the film room, eating tape for breakfast, lunch, and dinner, learning from the masters of the craft. He is supposed to be Ready. Right off the hands! If Hopkins had hauled that ball in, maybe things would have been different. Maybe Savage, feeling confident, would have fallen into a rhythm and led his team to an opening scoring drive. Perhaps he would have finally gotten that first career touchdown pass. 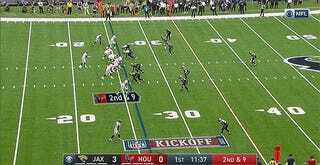 Instead, three of the Texans’ first four drives were three-and-outs. The next two ended with Savage getting strip-sacked. As the stadium filled with a deep and angry din, the broadcast caught a wide-eyed Savage walking off the field, watching a replay of his own failure on the jumbotron. 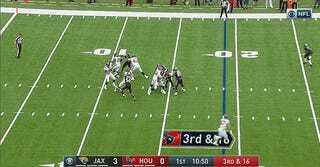 All the circumstances that had conspired to produce Tom Savage: Starting NFL Quarterback, had been for nothing. After two measly quarters of hot NFL action, he was headed back to the bench. He was going to spend the second half charting plays.